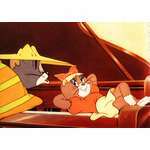 ..:: The Tom and Jerry Online :: An Unofficial Site : TOM AND JERRY CARTOON GUIDE::.. 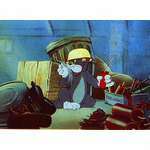 Choose one of the directors/studios for a complete listing of cartoons. Filmation Associates made a name for themselves in the 1970's and 1980's almost exclusively on TV. 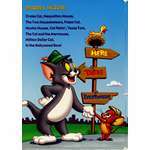 Tom decides to kick Jerry out of the house they live in. So he floods Jerry's mouse hole, causing a wave to erupt from inside that carries Jerry out of the house. Tom feels the guilt for kicking him out, however, and is constantly imagining Jerry as an angel who has passed on. Produced By Lou Scheimer, Norm Prescott. When another mouse comes to live with Jerry, the two soon become friends. Tom chases Jerry in a library where Jerry tries to make noise to wake the enormous sleeping librarian. Spike goes on a fishing trip with his master. He tells Tom to keep a close watch on Tyke, and to keep him out of trouble. Tyke is ruining the yard, trying to bury a bone, and Jerry helps him outwit Tom. Just as Tom ends up in the swimming pool, Spike returns and thinks that everything is OK, so he tosses Tom the fish that he promised him: a live shark in the pool with him. Written By Jack Hanarahan, Steve Clark. 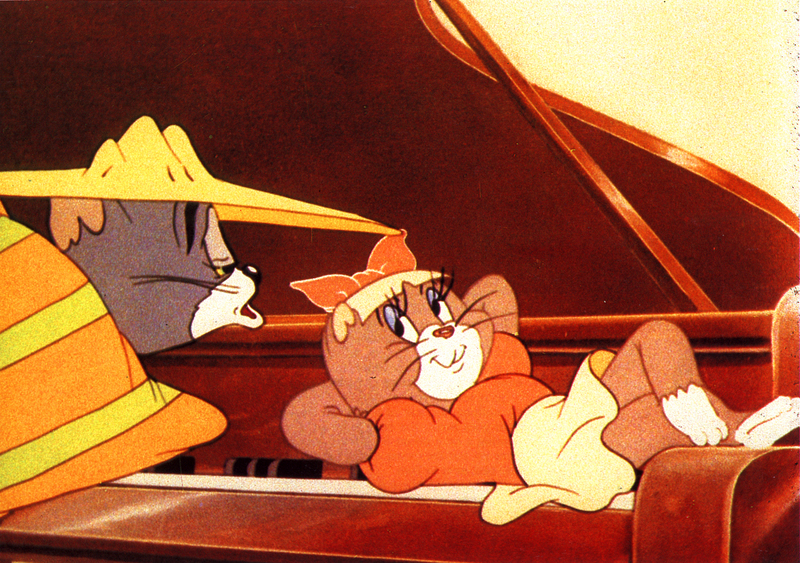 Tom plays a violin, but Jerry tries to stop Tom due to his cacophonic tunes and they trash the orchestra. Written By Jack Hanarahan, Tom Minton. Tired of Jerry toying with him, Tom leaves the house. Jerry tries hard to get Tom back before his owner calls the pest control. Tom is sick of Jerry always getting the better of him. So he disguises himself as an alien who threatens to destroy Earth. 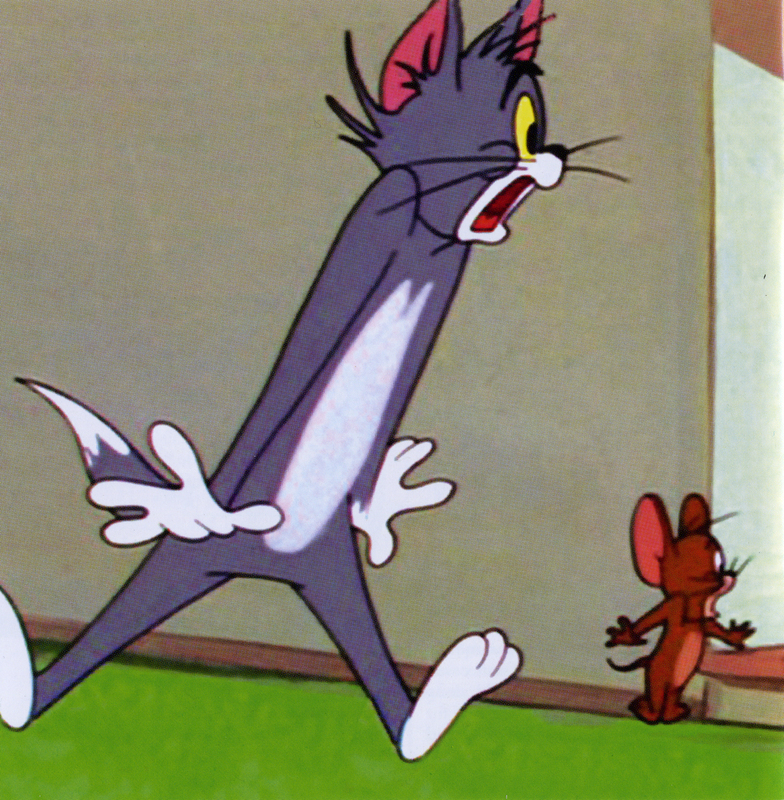 Jerry falls for the trick and becomes Tom's servant. Jerry has his own plane and buzzes Tom. Tom gives chase, but he skids into Spike, knocking the wing off Spike's airplane that he's building for his son Tyke. Jerry gets hold of a mad scientist's size modifier in order to shrink Tom and enlarge himself. The world's loudest rooster winds up in Tom and Jerry's house. A store owner wants to get rid of two pesky mice, so he gets Tom the Pied Piper Puss to eliminate them. Because he can't catch Jerry, Tom's owner sends him to a school to learn how to catch mice. The bulldog sergeant gives Tom a working over, assisted by Jerry. Written By Jim Mueller, Jack Hanrahan, Wendell Washer. When the vegetable garden starts to disappear, the owner tells Tom to get busy and get rid of the gopher. Tom tries to catch/kill him, but Jerry shows up and helps the gopher. Tom goes in drag as a female gopher, but he gets pounded by Spike, who thinks that "she" threw a tomato at him. When all the food is gone, the gopher is about to leave. Jerry plants a new garden just as the owner is about to reward Tom for getting rid of the gopher. Needless to say, the gopher decides to stay. Written By Jack Hanrahan, Steve Clark. Jerry gets Tom involved in a circus act and proceeds to make his act a dangerous and humiliating performance. How Tom and Jerry helped invent the airplane. In this Christmas-themed cartoon, Tom is sleeping by the fire, and is annoyed by Jerry playing a video game. He tricks Jerry into going out in the snow, but he keeps getting back in. Jerry tricks Tom outside with a snowman that looks like Tom, and when Tom goes out to remove it, Jerry locks him out. When he boards up the fireplace so Jerry can't get back in, Santa comes. Tom looks outside and sees Santa and his sleigh in the sky, with Jerry riding with him. 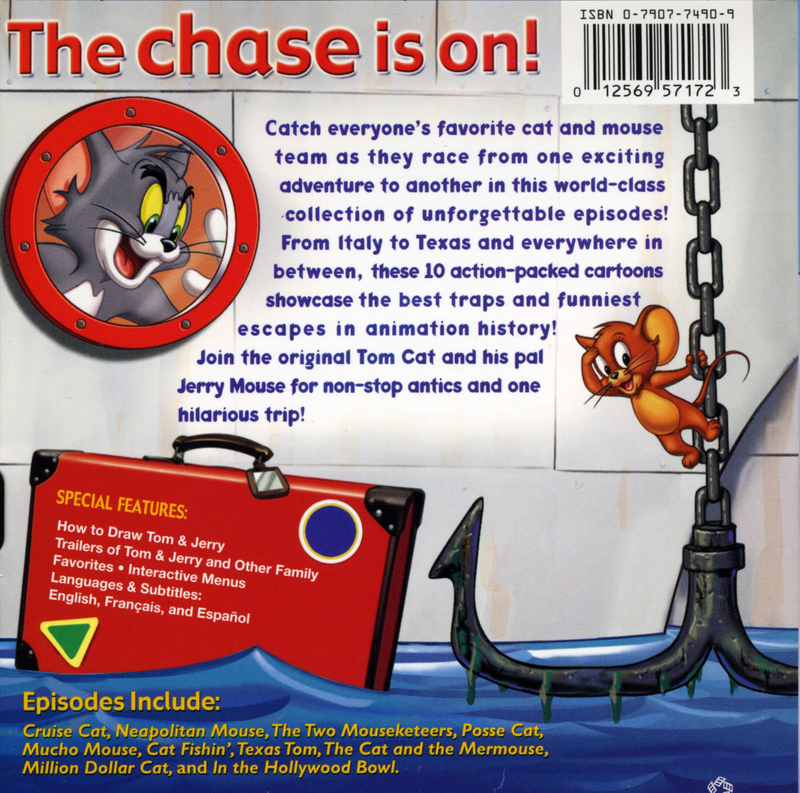 Tom chases Jerry on a Texan ranch, where he causes inconvenience for Spike and gets tangled in Cowboy events. Taking Spike to have him groomed for his birthday party, the owner orders Tom to guard his birthday steak and cake. Jerry has other ideas. A family goes on vacation to Miami Beach. Tom gets to go along to watch after the lunch basket. 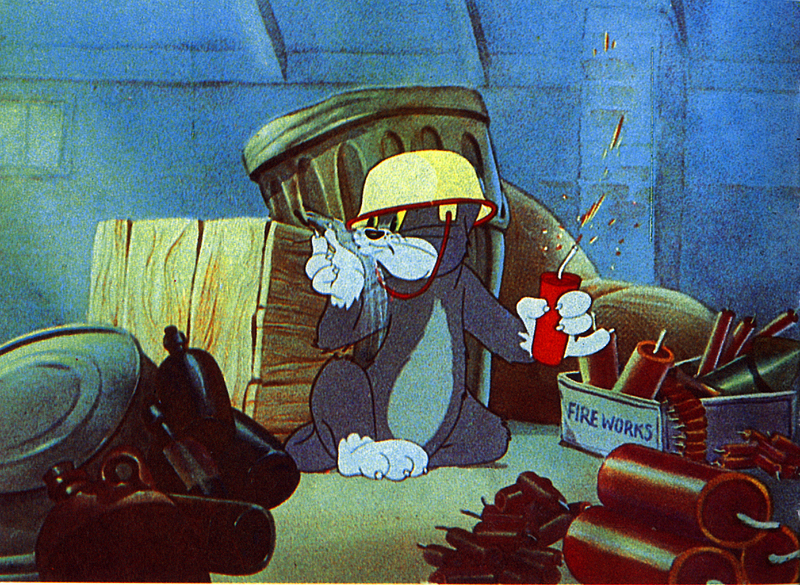 Relaxing on the beach, Tom hears a noise inside the basket- it's Jerry. 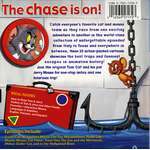 Jerry runs to his friend Spike the lifeguard for protection. 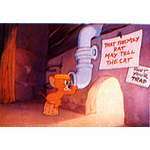 Tom keeps after Jerry, causing trouble for Spike. Spike finally has enough, and he sends Tom back home on a train (to a snow-covered house), leaving their owners wondering where Tom went. Jerry and Nibbles steal Tom's fish meal, so Tom attempts to get it back. When the chase leads to a museum, Tom acts as a one of the displays in order to get inside. A scruffy Tom is foraging for food in the park. He and Jerry fight over a half-eaten apple that Jerry finds. Once Jerry ends up eating the remains, the chase ends at a construction site. Spike, the foreman, is about to sit down and eat his lunch in peace. After Tom disrupts his lunch numerous times, Spike makes a statue out of him. Tom has had it with Jerry, and he wraps all of the cabinets and the refrigerator with chains. Jerry leaves, and he wanders into the basement of the house across the street. A student of Dr. Frankenstein has made a robotic dog! Jerry controls this very destructive dog, and he terrorizes Tom. Tom is able to climb into the dog, and in turn, terrorize Jerry! Tom has caught Jerry at last, but Tom's female owner does not approve of Jerry being killed. So Tom unwillingly lets Jerry go and gives him sweets and snacks. 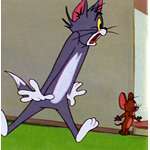 Tom then continues to chase Jerry, while his owner continues to set Jerry free. Tom attempts to make a meal out of the parrot that his owner bought. 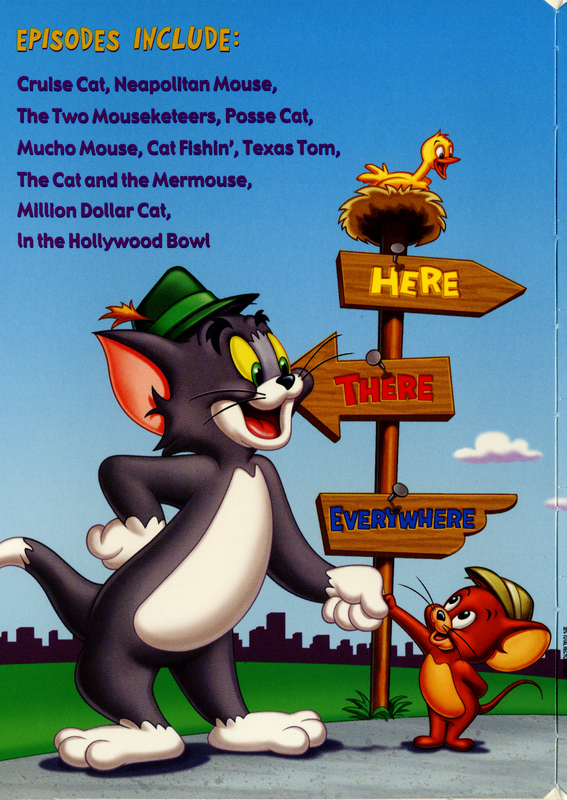 So when the parrot befriends Jerry, they both try to get away from Tom. Tom is a stocker in a grocery store. The manager goes to lunch, leaving Tom in charge, and telling him that everything had better be just as he left it. The store has just been prepared for a big sale. Tom finds Jerry eating produce, and the chase begins. After Jerry destroys numerous displays, and escapes in a toy airplane, Tom goes after him with a forklift. He totally demolishes the store. The manager returns, and makes Tom rebuild the store. Two old-timers are talking, and P.T. Barnone tells the other about an act that he had years ago. 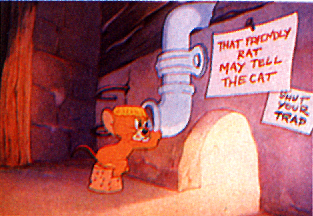 Tom and Jerry would perform their chases, and Jerry would escape Tom's trap. They eventually get bored with this, and they go back home and resume their usual chases. Jerry's city cousin comes to visit him on a farm. Tom has been told to guard the wedding cake and food for his owner's daughter's wedding party. The two mice get the best of Tom, and they bring a bunch of pigs into the house. Tom cracks up, and he's taken away by the animal rescue truck. Tom's owner has brought a robot maid, which Tom and Jerry use against each other until it goes out of control. While chasing Jerry, Tom grabs a fantasy genre book that takes place in the medieval time period and imagines himself within the text of the book. Jealous of Spike's appreciation for Jerry's dance talent, Tom tries to interfere, but they go along with their performance.